Invisibility has long been a staple of science fiction and fantasy. Just ask Harry about his cloak and Frodo about a certain ring. Or talk to any true Trekkie about subspace disturbances caused by a Romulan or Klingon cloaking device. Now bug sweat has science one step closer to developing an actual Cloak of Invisibility. Nature abounds with a menagerie of animals capable of blending with their surroundings, either for survival or for hunting. These camouflaging creatures range from a gliding lizard in India, whose speckled brownish-grey dorsal side matches perfectly with tree bark, to octopuses adjusting the size of their pigment cells to change their exterior color to blend with any background they rest on. But it is the unique method of camouflage demonstrated by an insect that have scientists thinking they can develop real-world cloaking applications for humans. Leafhopper insects are any species of the family Cicadellidae, colloquially known as hoppers, that feed on the plant sap of grass, shrubs, and trees. And while insects don’t have sweat glands, these hoppers do secrete onto their outer surface microparticles that cloak them and their eggs, keeping them hidden from predators. Inspired by this phenomenon, engineers at Penn State University have designed a synthetic material that mimics this special ability. These microparticles are called brochosomes, and we already knew that their superhydrophobic nature repels water. This keeps the insects’ wings dry in wet environments. 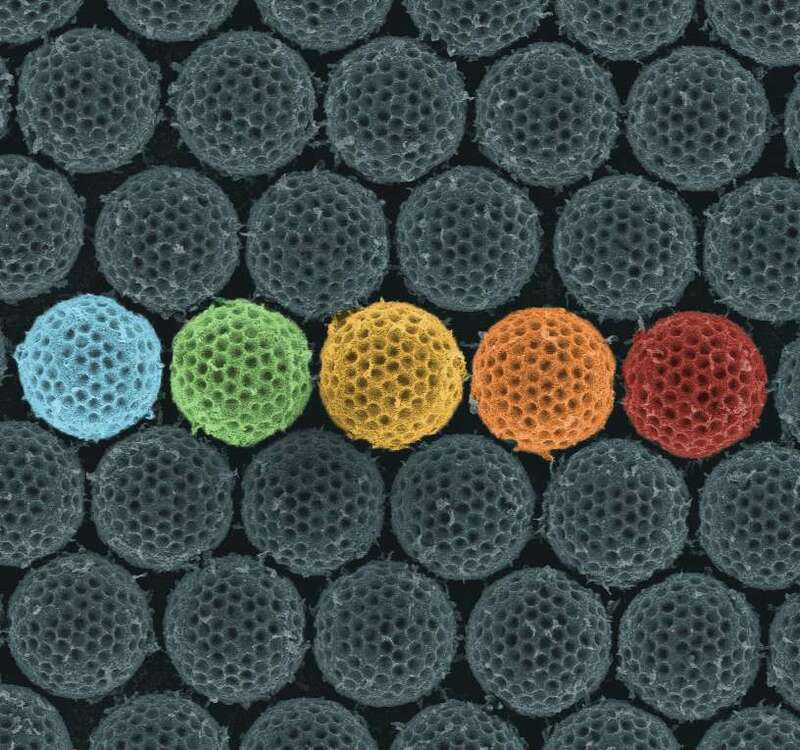 But when the engineers at Penn State looked closer at these brochosomes, they discovered that the microparticles also act as camouflage, affecting and altering wavelengths of light. Essentially, they form a nano-linked cloaking device shield around the insect.